Blockchain and Cryptocurrencies: Why bother? Hello, This is the first post, of the series, which will explain in simple language with easy-to-relate examples, the many potential application, shortcomings and current state of the art of the blockchain and cryptocurrency technologies especially in Indian context. Good information about these is already out there but most of it is written by very knowledgeable people, but in a very precise and technical manner which may be difficult for non-technical people to grasp. Then there is an marginally-more-understandable mixture of facts-fiction-speculation out there spread by people who know little of the technologies but try to impress by packing a lot of jargon and end up misinforming readers. And finally, there is the Media, which thrive on the controversies and loud statements issued by politicians, intellectuals and other bigwigs who either proclaim these technologies as the silver bullet to end all-problems-known-to-mankind or denounce them as largest fraud of the century. Realistically speaking, you do not need to be an economist or an accountant or an engineer to understand the blockchain/cryptocurrency technologies out there . Hope you will find this blog a good way to venture forth towards the exciting possibilities in world of blockchain! A shared-record-book that is maintained by an online group of computers (and people owning these computers) spread across the world. The most obvious use case of of the blockchain technologies are Cryptocurrencies which could serve as an alternative to the paper/coin money that we use today. And then there are lots of new, yet- unexplored possible applications of using this shared-record-book systems such as decentralized organizations, smart-contracts, tokens and many more. Now you will wonder, what could be so new or great or exciting about a record-book that is stored online? What is so special about these cryptocurrencies that people are willing to exchange their hard earned money into some thing that may or may not be of any value in the long term? To answer these question in detail, you need to have an overview the history of money and the structure of current monetary systems. These topics are too broad to explain in this blog so I’ll try to explain in short with a recent example. The money that you have in your pockets and bank accounts is controlled by the government, which may be either printed/minted pieces of paper/metal or in case of money in a bank account, it is represented in books or computer databases. Group of few select people can make such decisions that can diminish or totally destroy your life saving. Countries like America, Japan and EU are manipulating the supply of money continuously to maintain their economic stability. Their seemingly stable leadership is in a very precarious state. Economies of smaller countries have been ruined by inflation due to wars, unstable governments, incompetence of the people who make money-policy decision. In short, value of the money that you have, can be and is being, manipulated in ways that are subtle and , in some situations, not-so-subtle. How do Blockchain and Cryptocurrencies come into picture? All databases and records of companies, banks and governments, having a lot of sensitive information are susceptible to tampering either by authorized internal persons with vested interest or by external persons such as hackers without any trace. However, the shared-record-book nature of the blockchain, which follows strict machine-implemented code to prevent historical tampering and new transaction which are validated and updated by large number of computers across the globe, makes tampering with the records in an undetectable/irreversible manner very difficult. Main feature of “irrefutably” recording information and transactions (including money-transfers) are due to cryptographic methods that are used during validation step. Other than irrefutability, there are many other possible alternate features relating to anonymity, privacy, transparency, tracability etc. that shared-record-books can choose to have depending on the application of the particular blockchain. Each blockchain such as Bitcoin blockchain, Ethereum blockchain and many others, are independent record-book systems with their own set of internal rules, incentives for participation and tokens for exchanging information and values. The rules of these blockchains as well as most details are generally visible to all and generally everyone can make use of the blockchain as well as ,optionally, participate in maintaining the network of shared-record-book by running a programs on their computer to earn the incentive offered by the particular network . Decisions regarding network-related issues in public blockchains are taken and implemented by cooperation between all people who maintain the network, not by select group of people. Given that the internet, database systems, cryptography and related technologies has been available to public for more than 30 years now, the blockchain or cryptocurrencies are not new technologies but they are something new made using existing technology in a very unusual way to give rise to “decentralised” economy where people and entities can participate without interference from any single company or government. Oh Wow, I want to join too, Where do I sign up? Hold on, hold on. The details of how to get started are reserved for the next post. There are a few more things you need to know about the blockchain and cryptocurrencies to use them in a safe manner before you hop on to the bandwagon. Storing and maintaining records of information and money transaction in a network of shared-record-books is lot more inefficient than storing all information in one server. Although reading from the shared-record-book is free, a small transaction fee has to be paid for storing information. Illustrating the reason for the fee with an example, compared to the free services given by Facebook where you can store unlimited photos, links, likes, pokes and posts and whatnot for free, it is very important that people do not flood the already inefficient blockchains with useless records. This transaction fee also gives additional incentive for the people who contribute their computing equipment to validate transaction and maintain the shared-record-books. This transaction fee has to be paid usually in form of the particular cryptocurrency used by the network. So you need to have a “wallet” or an account and then have some cryptocurrency in it if you want to record information and transactions. The account is protected by a very long software generated number called a private key which has to be guarded very strongly. It is NOT an ordinary password that can be changed or recovered. If the number gets lost the cryptocurrencies in that account are lost forever without chance of recovery. If someone else gets that number, they can empty the account without any secondary challenge like OTP or create records or transactions using your account. Other than the cryptocurrencies, the applications running on blockchain can give away for free or sell tokens that can be used later for some purpose. You should keep in mind that value of any particular cryptocurrency or token of a blockchain network is based on supply and demand. Price of these can fluctuate very largely in a short duration. Over time it is possible that a token or currency fall out of popularity same way websites fall out of fashion like Orkut, MySpace etc. All the tokens and cryptocurrencies can potentially become valueless (the same way the likes you get on any FB post is valueless). So you have to do adequate research on the cryptocurrency or token that you’re buying and understand the risks and benefits of investing in it. Another point to note is that on Bitcoin blockchain, the rate at which block of transactions are entered on to the shared-record-book is fixed at 10 mins, so you must expect a delay of 20 mins after you have broadcast your transaction. Also, if feasible, you may want to wait for 60 mins or so, after which you can be assured that the transaction is surely registered on the blockchain. This wait time is set differently in different blockchains, which can be checked online. Well this is a nice medium-sized summary covering all the basic points. I hope you find this post useful. I’ll post later all the useful and interesting things that are possible due to implementation of blockchain technology and how they can improve or change some of the systems we have used till now. Please leave your feedback comments etc. Please watch this blog for new posts on blockchain and cryptocurrencies. Since my last post in August, a lot has happened in the cryptocurrency space. The price of an Ether has dropped from the highs of >600$ to the lows of <200$ in the span of 1 month but is now appearing to stabilize. A number of articles sprung up trying to rationalize these huge drops including regulatory crackdown from various government agencies worldwide, price-correction to overvaluation and hype caused due to high-visibility ICOs and a few more. As mentioned in one of my earlier posts, before investing in any cryptocurrency or token, it is necessary to know the technical details, most importantly, where the technology is headed in the long term, rather than only knowing the short-term market trends and hype. In my opinion, crashes such as these are a part of the natural cycle of any market and also necessary, in a way, to recalibrate the expectations that the market has from these technologies, to a more realistic level, and serve to deter people whose only motive is to make quick money and not interested in supporting and contributing to this new movement. The Ethereum community, at large, is aware of the shortcomings of the current state of the blockchain technology such as scalability, speed, inefficiency of mining process and transaction costs and different groups are experimenting and working on different alternatives ideas such as Sidechains, Plasma, Proof of Stake, Sharding etc. To comment now as to which of these technological options (or a combination of these) will prevail would be pure speculation but I can say with confidence that going forward that the technology will become better in terms of utility and usability. Luckily the author had invested only a reasonably small portion of his “risky-investment” component of his savings into these cryptocurrencies when they were clearly overvalued in pre-August time. When the price went below 275$, he started investing a larger amount into the cryptocurrency knowing that this is a fairer price and in the long run, the technology (despite its failure to live up to all the media-hype that it got in a short span of time), will improve and evolve to fulfil its original promise of a more transparent, inclusive and trustworthy internet-economy. Currently the price is somewhat stable and quite undervalued at 200$, so it is a good time as ever to start building your cryptocurrency portfolio. Good profits are waiting to be made if you are in this for the long-term! Lets keep our fingers crossed and coffee-pot warm for the days ahead. I know what you are thinking, how can the cyberpunk cult movie series from the early 2Ks have anything to do with blockchain technologies? But you forget that the film story is actually set in a post-AI-apocalyptic era with the people trapped in a simulation that is set in year 2000. Of course, you as a viewer back then were not sophisticated enough to understand what you were seeing on the movie screens since you lacked the sweet benefit of hindsight that we have now!!! Hope that makes some sense. Moving On… Now I have the Herculean task of convincing you that indeed Matrix is an ultra-futuristic blockchain-like network, going directly opposite to some of the key expositions in the movie (and, apparently, the original film canon). First thing point to note is that the Resistance and the people of Zion believe that the Matrix is what enables the machine to “control” the humans and use them as living batteries. What if this basic idea itself is a LIE embedded deep within the belief system of the Resistance to misguide their very understanding of the machines and their motivations? Well, the evidence that support this theory are everywhere once one starts thinking from this angle. Firstly, machines can easily get free unlimited energy by easily building a long pole with solar cell stuck on the top or by digging down to harness geothermal energy (people of Zion have this tech, so its a no-brainer that machines can also use the same thing). Then what reason can they have to keep generations of humans engrossed in the Matrix rather than just get rid of them? Even if they have some weird fetish to consumes humans as batteries, why tolerate the shenanigans of the Ones, the Merovingians, the Resistances and other wierdos out there when they can just sedate all their human batteries with some hallucinogen or opiate or some-such medication? Another point to note is that the Architect was not even mildly afraid of Neo with all his reality defying super cool power but the machines went into a blind frenzy when the virus Smith starts infecting the Sheeple? 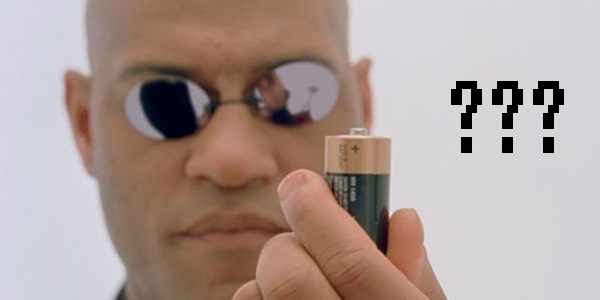 If the people trapped in the Matrix were mere batteries, who cares as long as they are hooked up and keep pumping their sweet bioenergy into the machine? The reality is that, actually, the machines use humans for PROCESSING. The machines found out a way to use humans’s brain power for their own wicked purposes using a much more advanced version of how our primitive blockchain works: each node computer in a blockchain does the calculations and validations and stores a copy of the state and thus contributes to the blockchain. The computer create the rules of the matrix but it’s the humans that execute the processing, not unlike the blockchain networks where the network wide rules are decided by the programmers but the network is run by the miners! Therefore a few humans are able to “bend” rules of the matrix same way a rogue miner with extra-processing power may be able to compromise the system temporarily. It’s a sweet deal for the machine since, for the minor cost of feeding the humans the primordial goo-syrup, the humans themselves maintain their cage and illusion that the matrix is. If a few million humans die or “defect” to Zion, it does no harm to the whole system, they have factories to produce more humans. But enter Agent turned Virus Smith with his infectious power in the 2nd movie, he prevents the machine from using the humans for processing in a legitimate manner by making unlimited clones of himself. Towards the end of 3rd movie, the Smiths have overrun (what we can assume to be ) a sizable chunk of the Matrix. The virus left unchecked, the machines faced the ultimate threat of being defeated at their own game. The stakes are much higher because Smith ,a single-minded revenge-obsessed psychopath who cares neither about the machines or the humans, will be in control. You can now easily see that this is situation is not at all different from the 51% attack that have a real possibility of happening on blockchain networks. Surely you’re now convince that my theory is ether-tight, so I’ll carry on the narrative just to complete the story arc, seen from the new perspective. 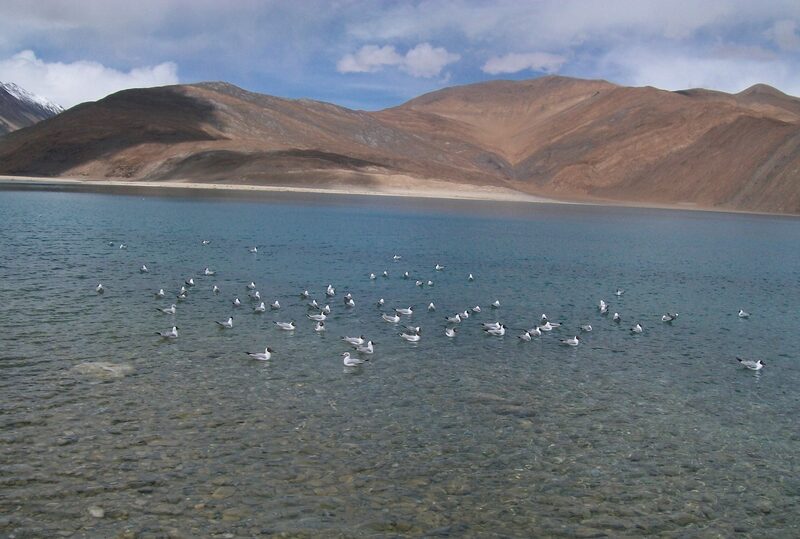 To sum things up, we are definitely giving too much credit to Neo, Morpheus and rest of the gang, who, by trusting the “Oracle” machine program, went into one frantic wild geese chase after another, ended up making a huge mess and that they barely managed to clean up at cost of thousands of lives of people of Zion and potentially risking the lives of all the people trapped inside the Matrix. Hope you liked this fine piece of Blockchain-fiction click-bait and please leave comments and share it on the social media. In my earlier post I highlighted the many useful features of the cryptocurrency and blockchain platforms and and why they are expected to be the future in many diverse areas such as banking, contracts, insurance, gambling and others as well as a few pointers to keep in mind while trying out using blockchain-based applications for the first time. In this post, I’ll explain the easiest manner in which you can create a wallet to access and use Ethereum blockchain applications. You need a Chrome or Firefox browser installed on your PC, and then download the MetaMask extension/add-on. You need to just search for MetaMask on google. Alternatively, you can also install MetaMask addon for Firefox app on Android. Once installed you will be able to open the MetaMask extension by clicking on the small fox-head icon on top-right area besides the browser address bar. Now you need to make a new account. First step is to enter a password that you want to use for the account. Then the wallet will ask you to read through few terms and conditions and accept them to proceed. Then you will be given 12 random “seed words” that are automatically generated which can be used to recover the account. You need to store these 12 words in the correct order in a secure manner so even if you switch to another PC/ browser, you can transfer your wallet there. Now your account is created. you can see your account id by clicking on the setting menu and then click on the account detail button to see the account id or “public key” (a long alphanumeric string )and also a QR code for the same. If anyone wants to send ether to you that person needs to know your public key or to scan the QR code. You will also see an option to view the “private key” (another long alphanumeric string). The private key allows you to send ether to anyone else via your wallet. In case your PC/browser is no longer working and wallet seed is also lost, even then you can manage to transfer the balance if you know the private key. If someone somehow steals your private key that person can easily empty your account even without access to the wallet. Therefore it is advisable to store this private key in an even more secure manner. Let us assume that you manage to get the ether transferred to your account. Buying a CryptoKitty is one of the easiest example by which you can learn to use ether because of their easy to use website. Open the CryptoKitty website then press the Start button on top-right area of the webpage. Then the webpage will direct you to open your Metamask plugin and press sign-in confirmation. (In case the plug-in has been updated there is a small chance the website may have problem detecting the new plugin). Now you can browse the site and select a CryptoKitty of your liking and confirm the transaction from Metamask window. Congratulations! You are now a proud owner of a CryptoKitty , the hottest collectible on blockchain. Get out there and let it multiply. Who knows you may breed the next million $$ kitty!! !